Honestly, I haven't tried this one yet since I'm not really one for hair products usually but I'm excited to try it and I love that it's actually a decently sized product. I've heard of Baublebar but have never actually tried any of their products myself - until now! I'm always so happy when my subscription boxes give me products or brands I've been meaning to try but have never really gotten around to trying! 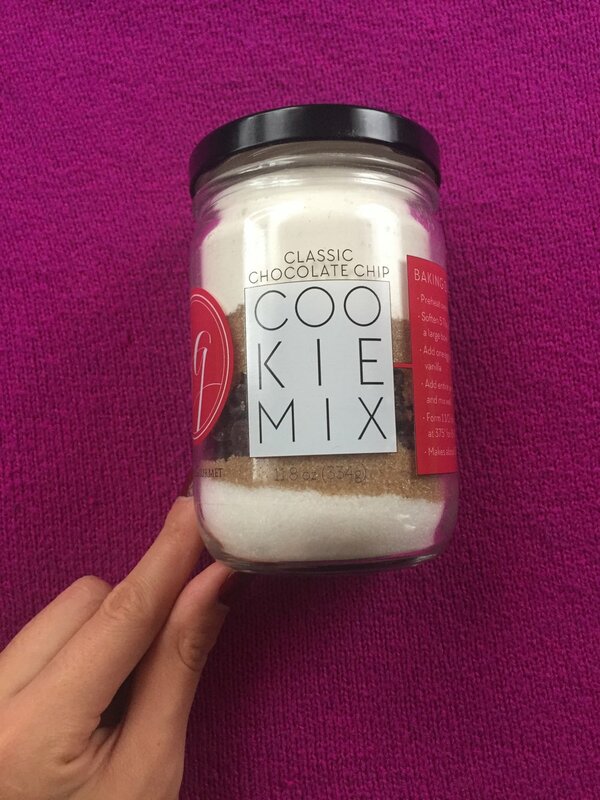 I haven't actually gotten around to making this mix (way too many cookies left over from the holidays!) but I am so excited to try it! Or if I don't end up getting to it, it will make a perfect little gift. The packaging on this lipstick is absolutely beautiful. The lipstick shade inside is a beautiful rich red shade but I think the part about this lipstick that stands out is really the design of the tube! Saving the best for last, this catchall and ring dish is exactly what I needed! Catchalls are one of those things that I never think to buy but as soon as I have one, I'm using it all of the time! I have a bad habit of leaving bobby pins, earrings, and lipsticks on any and all horizontal surfaces and this thing is currently filled to the brim with all sorts of goodies. I love this! Despite deciding to ditch subscription boxes overall, I'm still pretty happy that I decided to buy 6 additional months of my PopSugar box as a Christmas gift to myself! It's one of the only ways you can give yourself a surprise gift! :) What did you think of this month's box? I'd love to hear your thoughts!